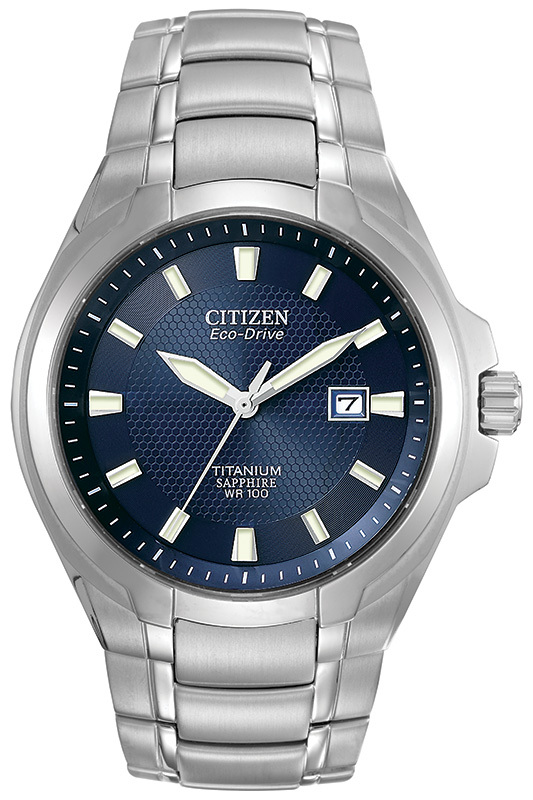 Make a statement with this bold titanium watch with dark blue dial. Features on this 3-hand model include luminous hour and minute hands and markers, along with a date indicator and sapphire crystal. This sporty model with 43mm screw-back case has a foldover clasp with pushbutton and is 100M WR. Featuring our Eco-Drive technology – powered by light, any light. Never needs a battery. Caliber number E111.